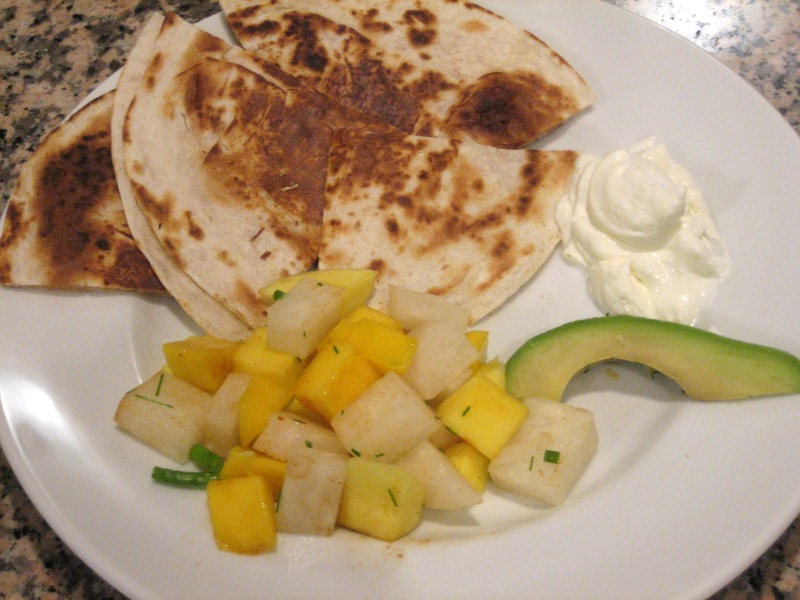 With a vegetable peeler, peel one medium jicama and two ripe mangos. 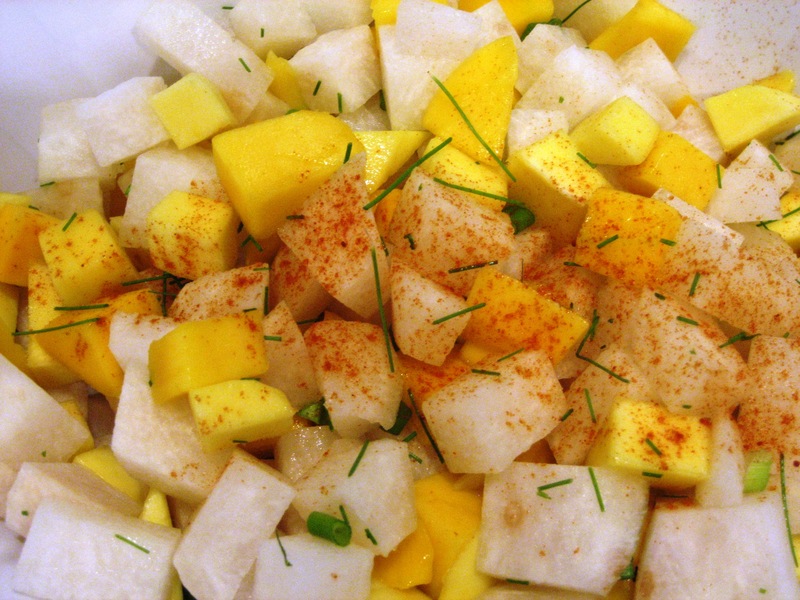 Cut the mangos and jicama into cubes and add to a medium bowl. Chop the chives and scallions and add to the same bowl. Toss the mixture together to combine. Cut 1 lime and squeeze all the juice it produces over the salad. Give another toss to distribute the lime juice. 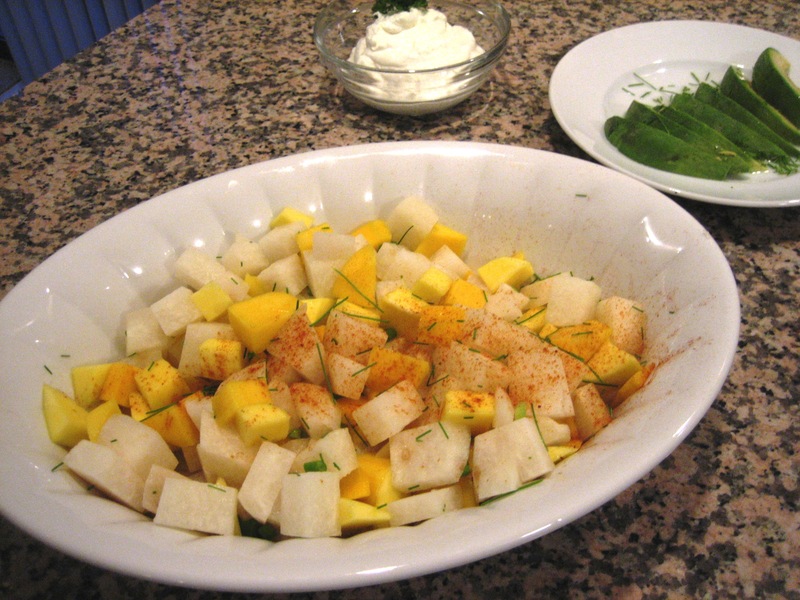 Chill for 30 minutes and serve as a refreshing salad. Dust with cayenne pepper before serving.